When the weather turns warmer and the markets start to have locally grown produce on the shelves, I am more eager to eat a great salad. 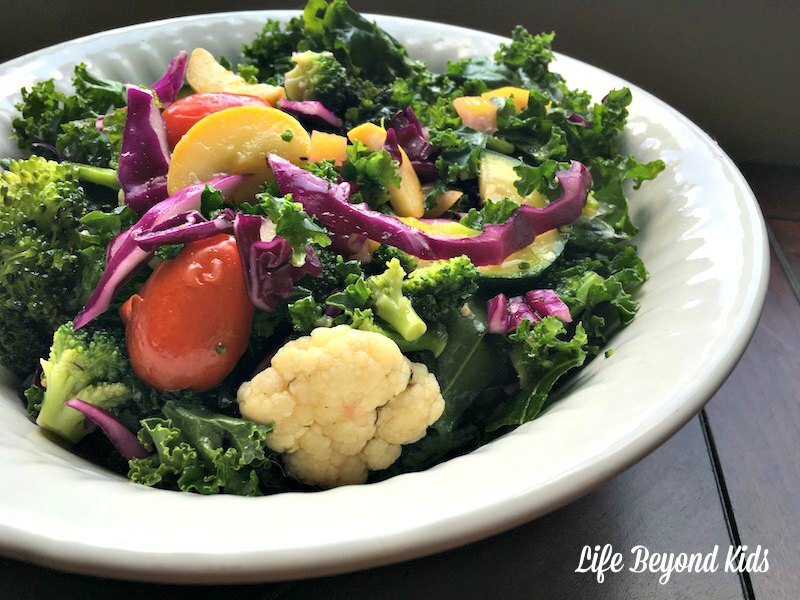 This Low Carb Summer Salad with Cauliflower and Kale is on my list to enjoy. Note ~ Affiliate links are present in this post. If you purchase through them, I may receive a commission from it. Without question, the addition of the salt-cured lemon slices is what elevates this recipe from bland to grand. 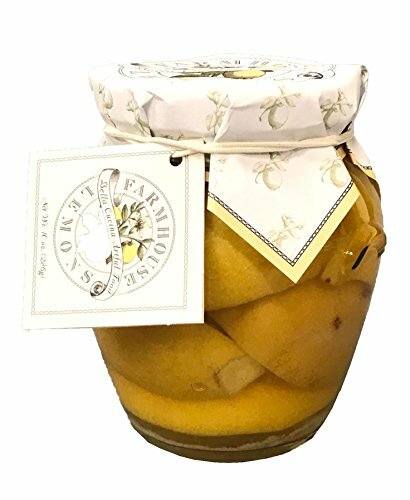 The bright, briny flavor of the preserved lemon adds a fresh burst of flavor to an otherwise sedate dish. The lemons are really easy to make by pressing fresh lemon slices between 2 Himalayan salt blocks. Allow 2 days for the salt blocks to work their magic and you will be rewarded with a very tasty treat you’ll reach for again and again. Alternatively, you can purchase whole preserved lemons for use. Not everyone has 2 Himalayan salt blocks in the house. And, you may not want to store those, either. If that is the case, then purchasing the readymade lemons is a better choice. In a glass bowl, combine all vinaigrette ingredients and whisk until thoroughly combined. If possible, make in advance to allow the flavors to mingle. Taste and adjust seasonings as desired. Set aside. Place zucchini, squash, cauliflower, and broccoli in a large microwave-safe dish and add 2 T. water. Cover and microwave on high for about 5 or 6 minutes, or until crisp tender. Cook times will vary by microwave, so test after 3 minutes and adjust cook time accordingly. Do not overcook. Set aside to cool. In a large glass bowl, add torn kale and drizzle with olive oil. With your fingers, massage each piece of kale with your fingers until the olive oil is worked into the leaf. This will soften the kale and improve its taste. Add cooled zucchini, squash, cauliflower, broccoli, tomatoes, basil, chopped preserved lemon and cranberries to bowl. Toss to combine. Serve immediately or store in the refrigerator for up to two days. What types of salads do you enjoy eating? Are low carb dishes something you include on a regular basis? That looks delicious! I dont do much with cauliflower because the kids aren't a huge fan but I think it would go great in a salad like this! Look at all those colors! Looks like the perfect summer salad! Oh yum! I used to NOT like Kale. However, since we've started growing it in our garden, my husband has made some awesome recipes with it, so it's growing on me! Plus, there are so many awesome health benefits from eating kale! 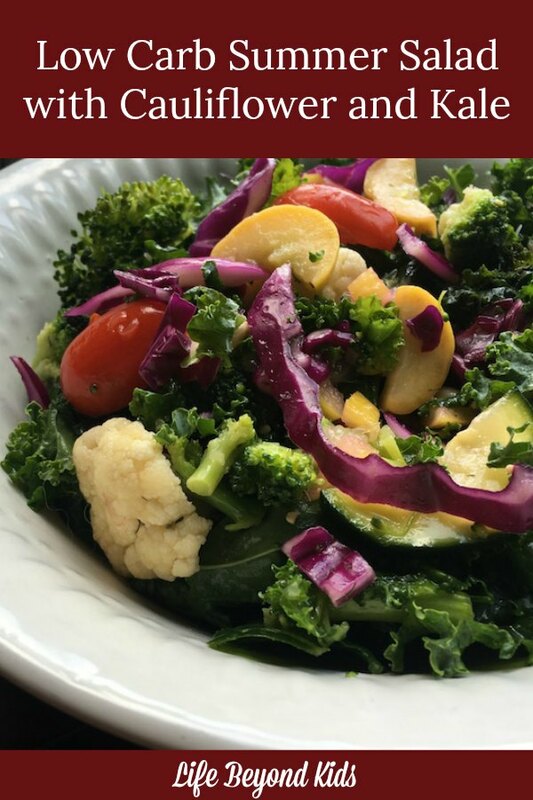 This salad looks great, I'll have to add it to my list of kale recipes to try! Thanks! I have never heard of salt cured lemon slices. That's definitely something to be on the lookout for!